As part of settlements over emissions violations in the U.S., VW agreed to spend nearly $3 billion to offset excess emissions and make $2 billion in investments in zero emission vehicle infrastructure and awareness programs over a decade. 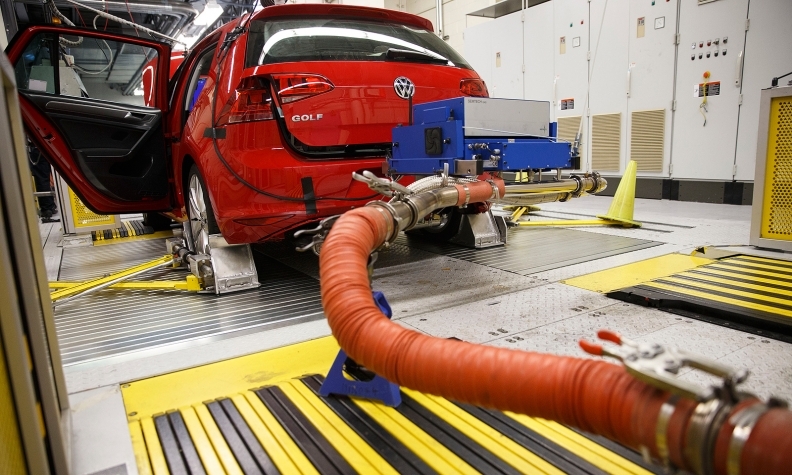 WASHINGTON -- Volkswagen Group is set to plead guilty on Friday to three felony counts in the Justice Department's diesel emissions investigation, as the automaker seeks to move past widespread environmental violations. As part of a plea agreement with U.S. prosecutors announced in January, the company agreed to sweeping reforms, new audits and oversight by an independent monitor for three years after it admitting to installing secret software in vehicles to enable it to beat emissions tests over a six-year period. Volkswagen agreed to change the way it operates in the United States and other countries under the settlement of charges that it installed secret software in 580,000 U.S. vehicles to allow them to emit up to 40 times the amount of legally permitted pollution. On Friday, the German automaker is to be formally arraigned in U.S. District Court in Detroit and then is set to plead guilty to conspiracy to commit fraud, obstruction of justice and entry of goods by false statement charges, a court spokesman said. A company lawyer is expected to appear to plead guilty on Volkswagen's behalf. It is not clear if Judge Sean Cox will formally sentence VW on Friday. VW, the world's largest automaker by sales, also has agreed to pay $4.3 billion in U.S. civil and criminal fines. The U.S. Justice Department in a court filing Monday called Volkswagen's conduct "one of the largest corporate fraud schemes in the history of the United States." In total, VW has agreed to spend up to $25 billion in the United States to address claims from owners, environmental regulators, states and dealers. Lawyers for VW and the government said in a joint motion that Judge Cox should reject a request by a lawyer for some owners seeking individual criminal restitution. The motion noted VW is spending up to $10 billion on buybacks and compensation for nearly 500,000 vehicle owners and nearly all agreed to take part. The Justice Department also charged seven current and former VW executives with crimes related to the scandal. One executive is in custody and awaiting trial. Five of the seven are believed to be in Germany and have not been arraigned.